The Tanzania-Israel Business and Investment Forum (TIBIF) 2015 was hosted recently in Dar Es Salaam Tanzania to strengthen the trade ties between Israel and Tanzania. The Forum aims to link both Public and Private sector businesses of Israel and Tanzania to strengthen the commercial ties between the two countries. Through the forum the people of both the countries are pushed to explore areas of business and investment cooperation and maintain the steady development momentum of bilateral ties through economic partnership. The TBIF 2015 includes Business-to-Business (B2B) seminars and meetings with relevant companies, and tours to industries, factories, agribusiness, technology and infrastructures to understand the opportunities in Tanzania. Primarily agribusiness, water management and irrigation, technology, energy, security and transportation sectors are involved. The minister of State in the Prime Minister’s Office (Investment and Empowerment), Mr. Christopher Chiza said that the forum is important as it is the means to open the doors for investors into our country. 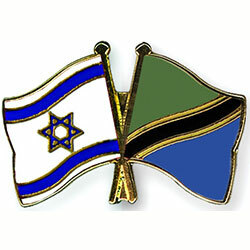 According to local media The head of Israel’s Agency for International Development Cooperation (Mashav), Mr. Gil Haskel indicated that “It is upon the Tanzanian government and the private sector to build a platform for transferring technology and knowledge from Israel to Tanzania”. TIBIF is co-organized by the Government of Israel, the Government of Tanzania, the Kingdom Leadership Network Tanzania (KLNT) together with the Tanzania Private Sector Foundation (TPSF) and Tanzania Investment Centre (TIC). The first TIBIF took place in Dar es Salaam on March 2014.